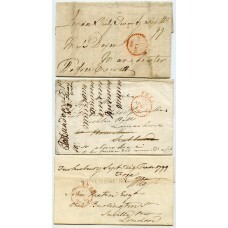 1799 - three wrappers from July to September each bearing fine strikes of the scarce experimental dated "FREE" handstamps with dotted frames, "plain" crown, all struck in red ink. 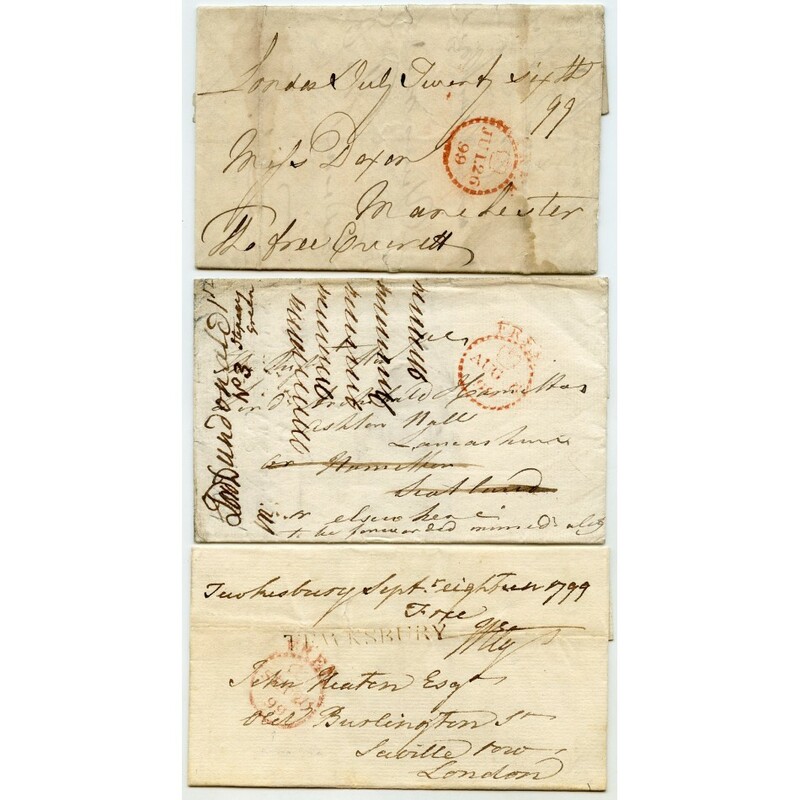 This London handstamp was only in use for three months. July 26th entire letter is signed with Thomas Everett's frank "Tho free Everett". He was MP for Ludgershall 1796-1810 and owed his prosperity to the Wiltshire cloth trade. 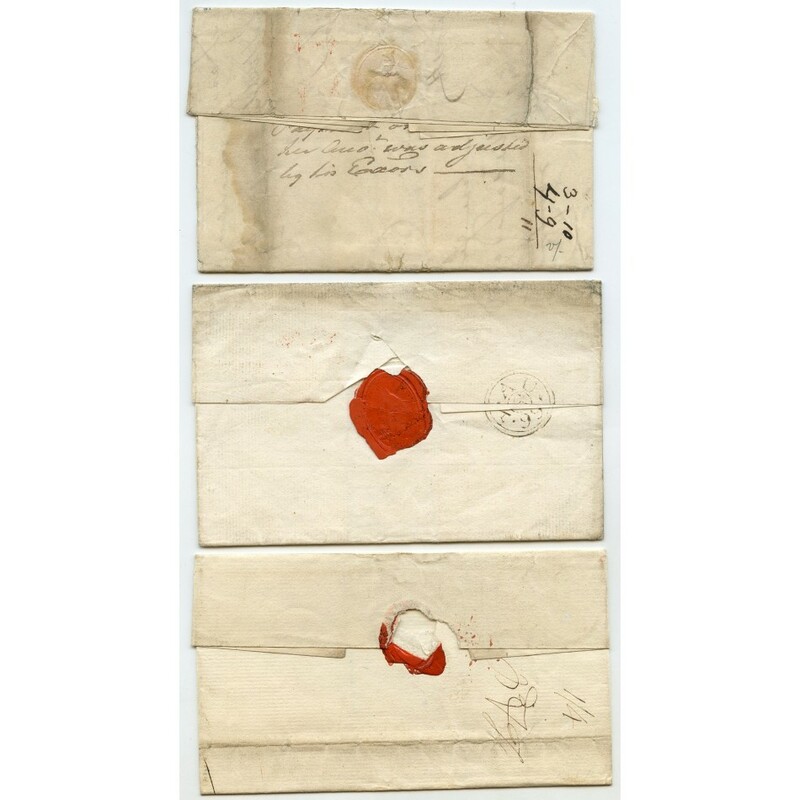 August 8th outer letter sheet is addressed to Rt Hon Archibald Hamilton, redirected to Lord Dundonald. September 18th outer letter sheet is unusually signed with Bishop of Ely's frank "Free Ely" just below the place and date of sending. "TEWKSBURY" straight line cancel.